"We Can Bring Your Dream to Life"
OneRestore is equipped to handle any remodeling project, big or small, in the Central Florida area. We have done a variety of remodels in every area of the home, through our restoration company in Ocala. And, we just opened our own remodeling center in the local area. So Good News! You no longer need to have a disaster to get the remodeling services of OneRestore! Many of our water damage restoration projects have involved kitchen and bath area, and we excel at delivering kitchen and bath remodels that please our customers. OneRestore's remodeling center in Ocala has a generous selection of cabinetry, countertops, and flooring, with products for every taste and budget. We can answer all of your questions throughout the planning and remodeling process. 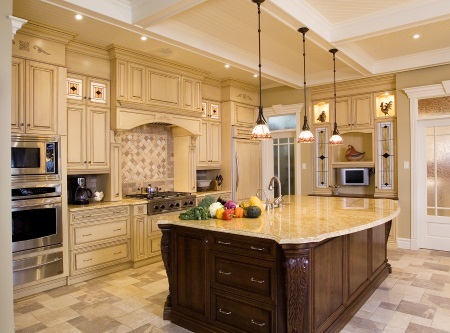 We can explain the features and benefits of our cabinetry, door styles, finishes, and countertop solutions for your kitchen or bathroom remodeling project. We have a wide selection of cabinetry, countertops, and flooring with samples in our Ocala showroom. We visit your home to measure all areas where we will be installing cabinetry, countertops, and flooring to ensure your bath remodeling or kitchen remodeling project is done right. Within a few short weeks after your order is placed, we will contact you to schedule time to deliver the products to your home. 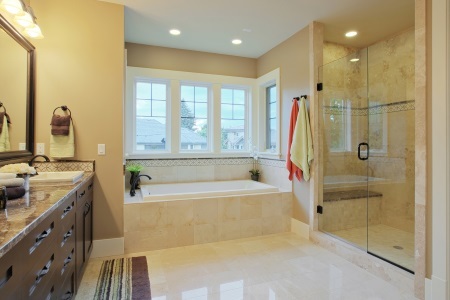 We have licensed installers who will professionally finish your bath or kitchen remodel. We are a local company and aim to impress – our reputation is everything to us in the local communities we serve. We don’t just sell cabinetry, we build atmosphere and attempt to make an impression with everything from customer service to installation. Our customers routinely tell us they would not hesitate to use us again or refer us to family or friends planning a kitchen or bathroom remodel in Ocala or another Central Florida area. Our ultimate goal in every transaction is complete customer satisfaction. We provide tile cleaning and restoration services if you choose to keep your current tile. 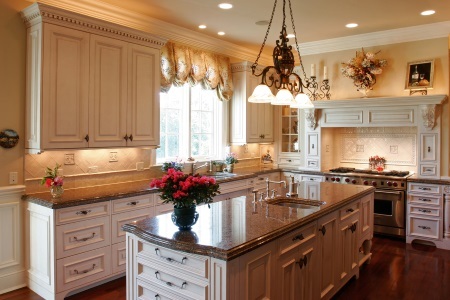 We have been restoring marble, granite and other stone surfaces for many years, providing a less costly way to freshen your home's appearance, leaving more in the remodeling budget for other areas. Your home remodel is as important to us as it is to you. We understand that while OneRestore is remodeling your home, we are working where you live. We know this is an inconvenience to you, and we try to minimize awkwardness where ever possible. We make every effort to manage the work area to minimize the dust and clutter in your home, picking up after every shift. Construction in your home is a disruption to your daily lives and we want to make sure the length of time that you are inconvenienced is limited. Therefore, we are very thorough during the design phase, attempting to identify any possible problems or potential delays in advance. Typically, we order all parts and construction material and have it on-site at the beginning of each remodel to insure minimal delays. You might be asking, “What does that have to do with my remodeling project?” Because we manage both commercial and residential restoration projects, we do a much larger volume of repairs and remodeling projects than the typical local remodeling company in Ocala. And, with our experience and connections, we are able to get better pricing and can usually respond more quickly to unexpected situations. We’ve also seen a lot more than the average remodeling contractor, and know from experience which situations can turn into expensive problems down the road. With this knowledge, we are often able to recommend relatively inexpensive upgrades during the remodel that avoid very expensive repairs and headaches down the road. Finally, because we are local, we thoroughly understand our local real estate market and know which improvements will have the greatest impact on resale value. Ultimately, because we are also a restoration company, OneRestore’s remodeling customers save time and money. This may not seem very important to you until you aren’t able to find the person in charge of your remodel. And, when you do, they don’t know the exact status of your project. We understand that communication is key to a successful project and avoiding expensive delays. OneRestore has invested in technology to be sure that everyone involved with your project has the latest information at all times. All of our workmen have tablets in the field and remain in constant communication with our home office. If you are planning a home remodel, OneRestore can help you get the best value with the least amount of inconvenience. We would welcome the opportunity to discuss your project. Because we are a Local Remodeling Company, we cannot afford to leave a OneRestore customer less than completely satisfied. That is why we go above and beyond - from first contact during our Free Estimate, through design, construction and followup - we aren't happy unless you are happy!